Salesfundaa CRM software is a business-related technology which is evolving at the speed of light, and if you choose wisely you can effectively streamline your operations. The Salesfundaa CRM software applications versatility is designed to serve multiple functions and helping growing businesses and startups everywhere to become more efficient, precise and cost-effective. Here are a few ways you can use this technology to control your business overheads. 1. Automation is the name of the game. In Salesfundaa CRM software Certain aspects of your business like employee scheduling, benefits administration and even marketing follow-up can be automated to help save time and money. Many integrate with your current payroll or customer relationship management platform to streamline your processes. 2. Move your data to the cloud. In Salesfundaa CRM software as your business expands, so will your need for data security. Purchasing servers and upgradation as the company grows can get costly. For an affordable monthly fee now you can store your data and website hosting on cloud-based shared servers. Now no need to spend on costly software when free or affordable solutions are readily available. Google Analytics delivers comprehensive insights at no cost. 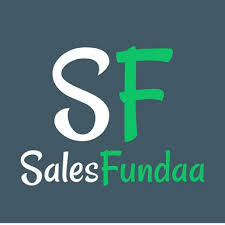 The Salesfundaa CRM software can be scaled to a project management software module if you are a startup. Salesfundaa CRM software has an Eco-friendly structure that is easy on your wallet, too. Going paperless will help you to save on ink, toner, paper, and even office storage space. 5. How much space do you really need? Depending on the structure and size of your company, having all information and data on a centralised platform facilitates sharing data and documents by multiple users can help staff stay connected and engaged in real time through instant messaging and file sharing functionalities. Monitoring your businesses’ expenses and determining where you can make cuts is a constant process. Salesfundaa CRM software can help you to get more digital and reduce costs in the office. Improved business processes through faster access to and retrieval of information. Better-informed decision-making through quicker access to all of the right information. Better service delivery because relevant information can be located easily. Less staff time spent looking for information. Cost savings from less creation of paper records. Call on 9235 35 35 35 for free demo of eco-friendly and cost control version of Salesfundaa CRM software.